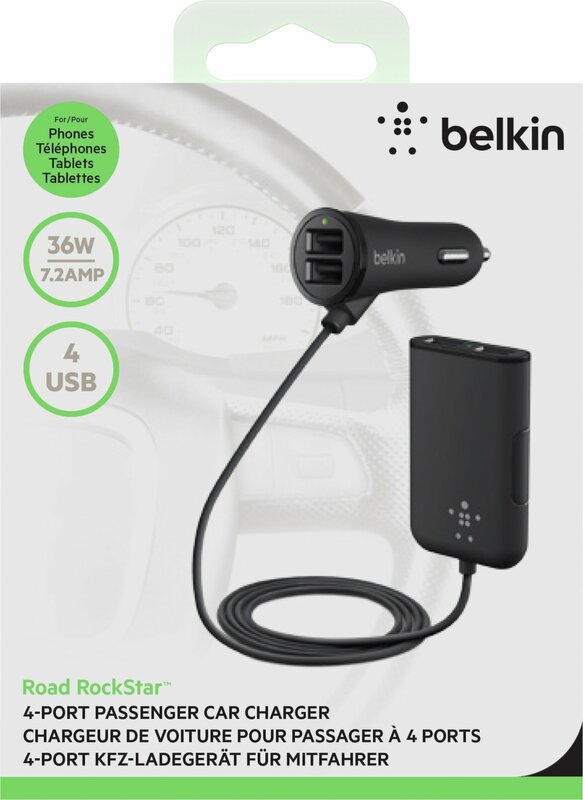 Charging is no longer limited to the front seat with the Road Rockstar. 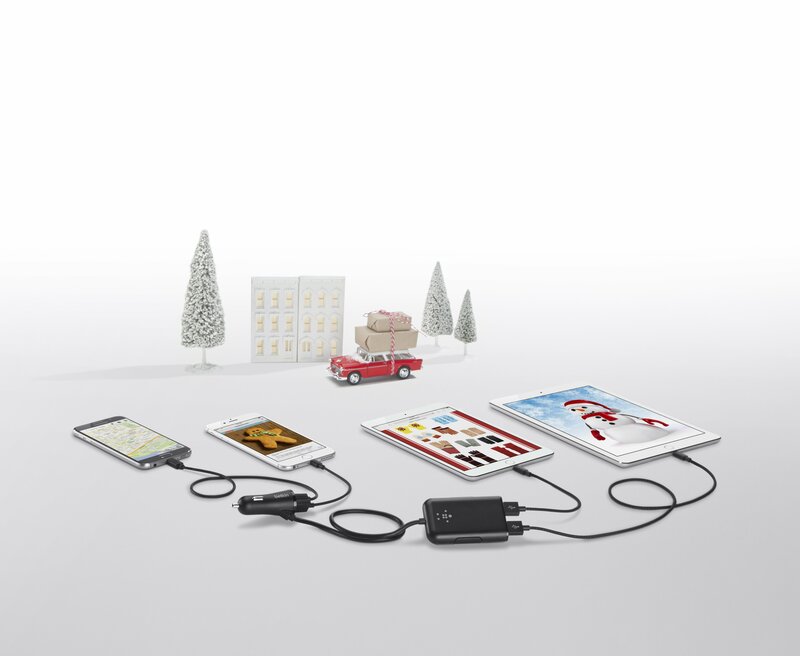 Designed with a 6ft cable, and four USB ports, you can seamlessly charge four devices simultaneously while on the go. 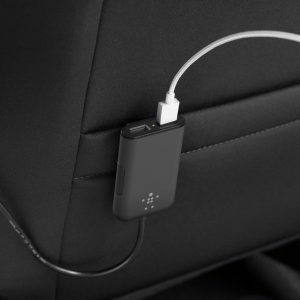 Two front seat USB ports charge smartphones at optimum speeds with shared 2.4A, while the extendable hub allows backseat passengers to charge two tablets simultaneously at 2.4A per port, perfect for watching movies on long road trips. 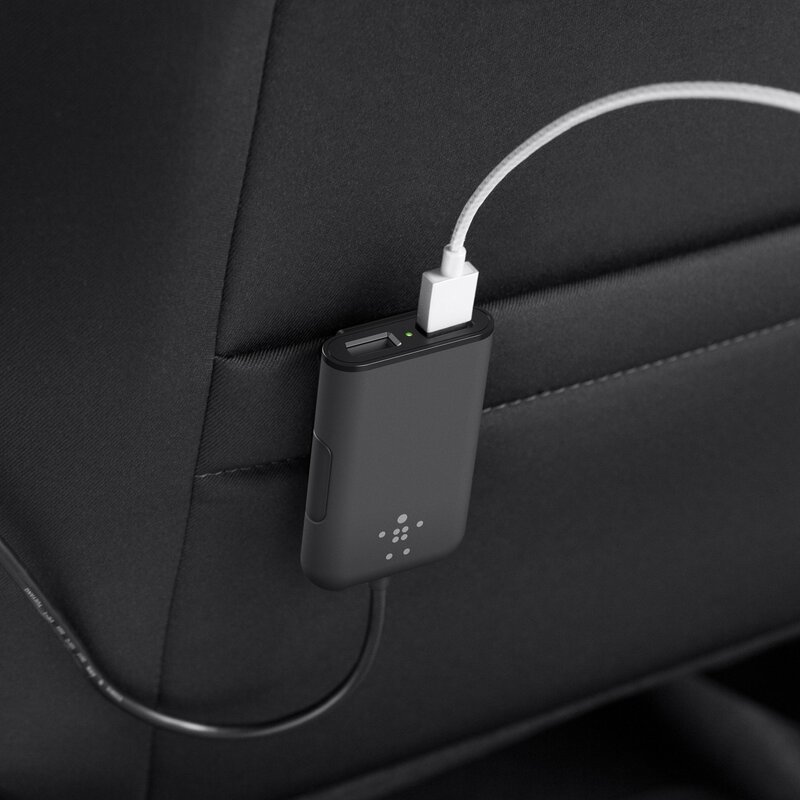 Two USB ports for driver and passenger, while two USB ports extend to the backseat passengers. 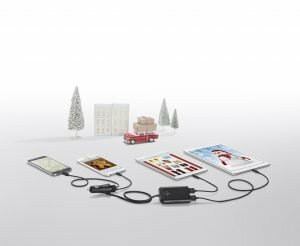 The 1.8 metre cable allows for backseat passengers to easily access the charger. 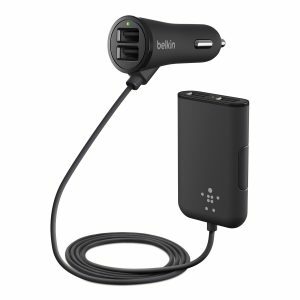 Plugs into car’s cigarette lighter adaptor and then clips to driver/passenger backseat pocket for easy accessibility to charging ports. Connected equipment warranty provides consumers with the confidence that their device is protected for up to £1,500 when properly connected.